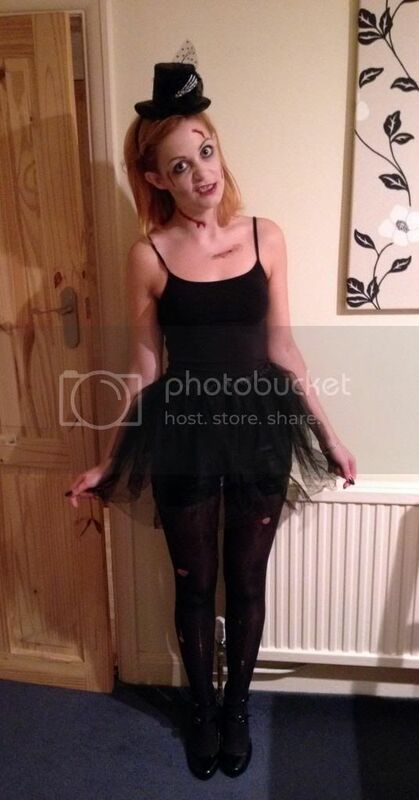 I didn't really make much effort this Halloween compared to last year. I pretty much reused the same accessories and the same make-up, but changed the outfit a little bit! Basically, I added an extra cut, slicked my hair back and wore a tutu. 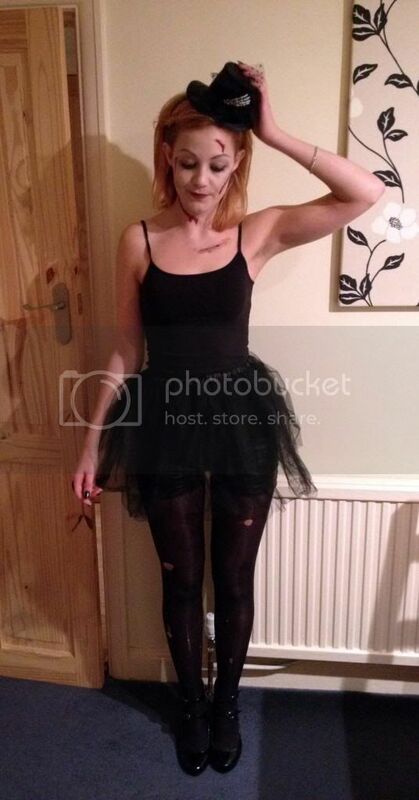 I'm not sure I can really be classed as a zombie ballerina, but hey. Alex did pretty good though. He's a butcher by day, and a killer butcher by night. Not literally, may I add, but for one night only, he pulled off the look for Halloween! 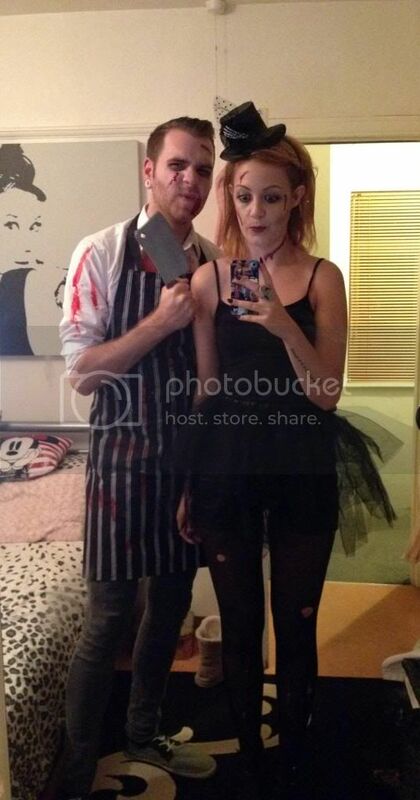 It's a wonder what a bit of fake blood and a plastic meat cleaver can do. 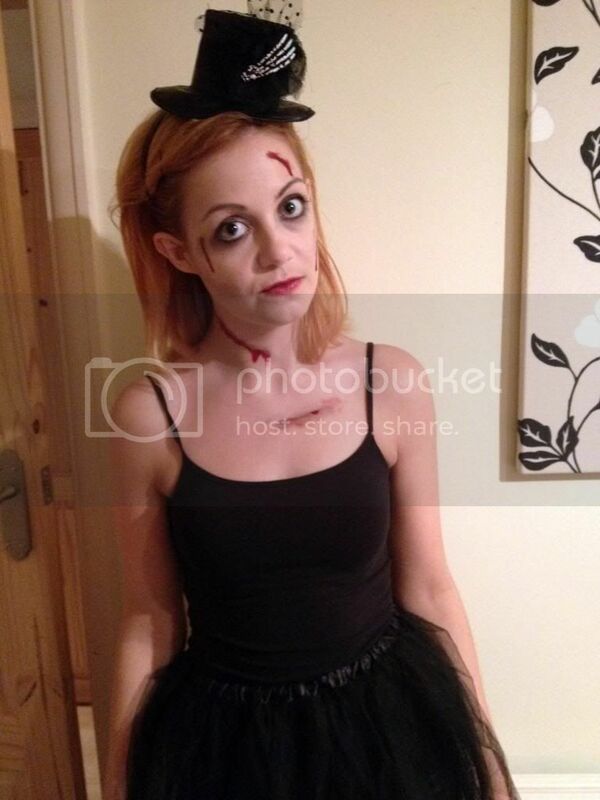 What was your Halloween look?